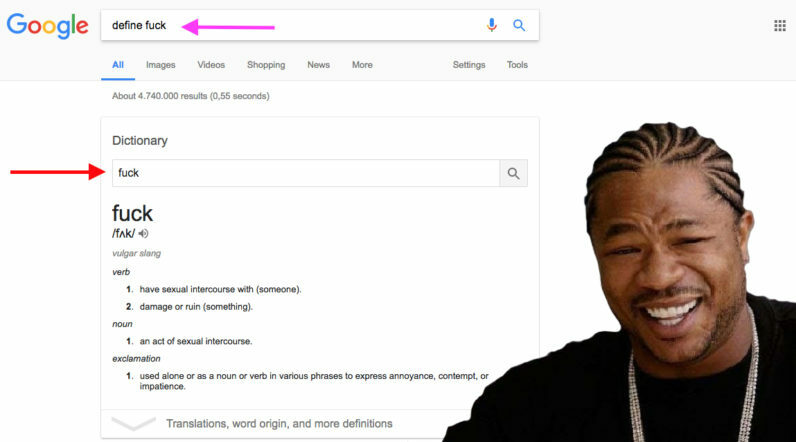 Google is making it even easier to look up the dictionary definition of words straight into Search. It appears the company has quietly updated the dictionary box in Search to include its own search function. While the change might seem somewhat counter-intuitive and unnecessarily meta, it makes it easier to look up multiple words at a time without having to fill in a new Search query each time. While Google first introduced the dictionary lookup as early as 2009, it has continued to steadily improve on in the years since then. While the feature initially served to merely provide simple definitions, it gradually evolved to include synonyms, sample sentences, numerous translation options as well as the origin of a word.